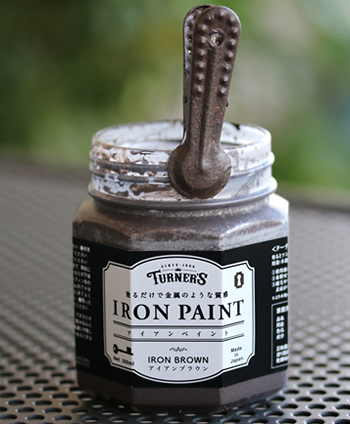 Water paint that can express texture like iron and metal just by painting. It is recommended for furniture and a variety of goods. 3. Hold a brush vertically, dab spots onto the surface so that the surface appears slightly uneven. 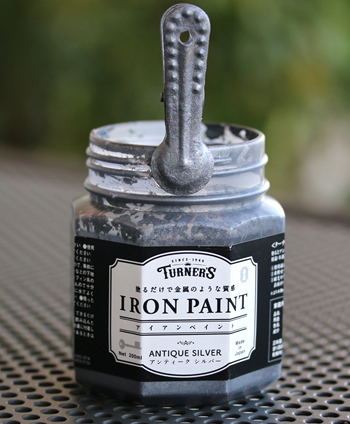 * To create the look of genuine iron, paint a little thicker, or paint twice is recommended. · Remove dirt, oil, mold etc. on the surface to be coated. · When using, shake container well, stir well. · When the viscosity of the paint is high and it is difficult to paint, dilute it slightly with water (up to about 5%). 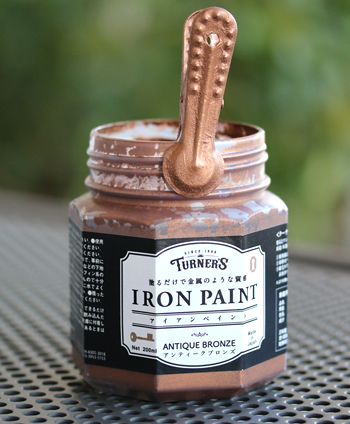 · Paint does not adhere to material. Check in advance. 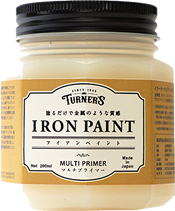 · Painting on metal requires undercoating such as Multi Primer. · It does not adhere to olefin type materials such as polyethylene and polypropylene. · Once attached to clothing, paint cannot be removed. · After use, wash the utensils thoroughly with water, do not allow to dry. · Avoid painting at temperatures below 5 ° C.
· Please replace lid of the remaining paint, avoid direct sunlight and places below minus 5 ℃. 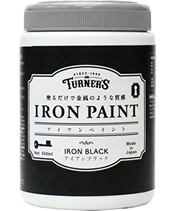 Ingredients: synthetic resin (acrylic resin), silica, rust inhibitor, water. It adheres well to metals, glass, concrete, plastic, painted surfaces etc. 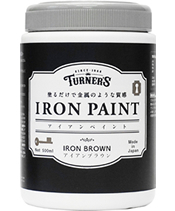 to improve adhesion of iron paint. 1. Remove dirt, oil, dirt, etc. on the coated side. Stir well before use. 2. 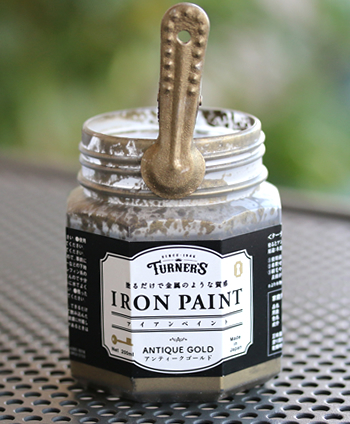 For a thinner finish, paint one to two times. Do not paint thickly on concrete, mortar, calcium board (gypsum board) etc. for porous surfaces, add water and finish by applying 2 coats. 3. Allow to dry for 2 hours and then apply the top coat. In case of glass allow 1 day. * Since types of base materials are diverse, be sure to try it in an inconspicuous place before use. 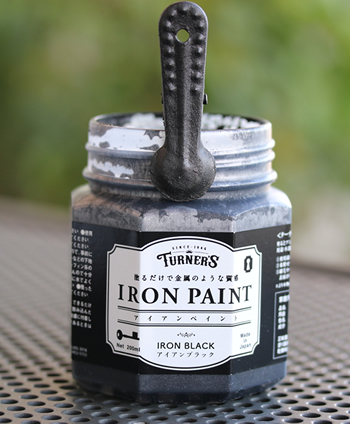 · Always seal paint, and store in a cool dark place. · Care of brush, do not allow to dry before rinsing. 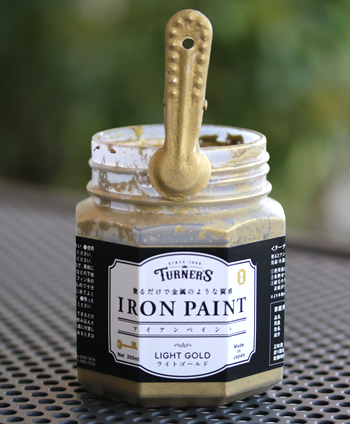 · There is no anticorrosive effect against iron. · It can not be used for polyolefin (PE, PP), nylon, soft PVC. · It does not adhere to silicon-based or fluorine-based water- and oil-repellent coating. · Take measures to remove old film coatings. · In case of eye contact, wash immediately with plenty of water and seek medical attention as soon as possible. · In case of accidental swallowing, please consult a doctor as soon as possible. · If it gets on your skin, wash it off with soapy water, and if there is a change in pain or appearance seek medical attention.